Tequila ambassador Tomas Estes is using his Tequila Ocho brand to explore the implications of vintage and terroir for the category. With the first vintage produced in 2007, Tequila Ocho is the result of a collaboration between Estes, official Tequila ambassador to the European Union, and the Camarena family, who produce Tequila Tapatio. The family works with over 100 different ranches, producing to order a range of what Estes claims are the only single ranch Tequilas on the market. 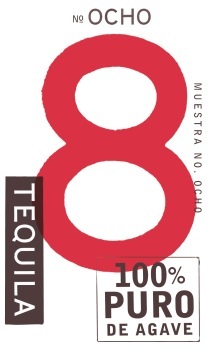 For this reason, the Ocho Tequilas are aged for “the minimum time allowed” in neutralised barrels and the core of the range is made in a blanco style. “On my own, I would always have a blanco and have a cocktail made with blanco too,” remarked Estes, who described the addition of reposado and añejo styles to the range as “somewhat of an afterthought”. At a recent UK vertical tasting of Ocho, Julio Vermejo, son-in-law to the Camarena family and owner of Tommy’s Mexican Restaurant in San Francisco, highlighted the rarity value to vintage Tequilas.